‘Pecking order’ is the informal term for a hierarchical system of social organization. It is an expression of dominance by various behaviours, the term ‘dominance hierarchy’ is also used to describe pecking order. By developing a pecking order, it is determined which individuals will get priority of access to resources, particularly when they are limited. This would include love, affection, natural bonding and the basic needs for survival like clothing and food, this is the case when speaking about human beings and not animals. When children grow up in a home environment with a narcissistic parent, a pecking order is established by the narcissistic parent. For an only child of a family with a narcissistic parent the circumstances can be even more complicated and damaging. A single child in the family will be afflicted with more than one of the pecking order behaviours by the narcissistic parent. The wounds created by the label that children grow up with in a narcissistic environment can emotionally and mentally harm them in some very damaging ways, often to the extreme and for many, many years. For young children, the parent is the main influence in their lives, a child trusts their parent and will not realize until later years, if at all, that their narcissistic parent’s behaviours were emotionally and mentally abusive. The narcissistic parent will pick and choose the pecking order within the family of children, the children exist solely to be of benefit to that parent. The narcissist picks a ‘favourite’ child depending upon what it is they have to gain. A narcissist will always have as many people on their side as possible, this ensures their charade is well hidden and their true colours are never exposed. As long as the children or child remains an obedient energy source for the narcissistic parent the narcissistic parent will seem like a very loving and caring person, but if the child does not, it will likely unleash an evil and unstable flood of aggression and anger that will be projected onto them. Narcissists view their children as possessions and often have extremely possessive relationships with them. 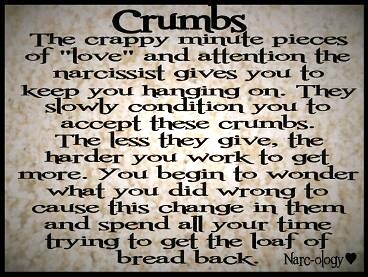 The narcissist will have complete control over their child and will feel resentful, jealous and hateful if the child wants to break free from their clutches and create a life of their own. There are many behaviours the narcissist will use to abuse and manipulate the child to make them feel guilty or worthless so they will struggle with confidence and integrity in order to succeed independently. Even as a grown up, the child can still find it extremely difficult to comprehend the level of abuse that has continued into the child’s adulthood. A narcissist constantly needs an energy source to feed from and if there is a child in the pecking order who is sensitive, it is with such terrible sadness that I write this because it is highly likely that child will become the one who suffers the most. The narcissistic parent will feed from that sensitive energy source in the most extreme manipulative and negative ways more often and most of the time. We turn a blind eye to the behaviours of our parents, as children we become brainwashed to their personality faults and we so often turn their words and actions inwards and blame ourselves for their actions. It is imperative that we begin to understand more about how and why narcissists behave as they do and how the dynamics between the parent and their pecking order systems within the family play out. Narcissists use their children and other relatives children within the family unit to reinforce their self-obsessed, egotistical, self-centered and evil ways. The road to recover will not be an easy one if you are the child of a narcissist, regardless of your pecking order, however once you have recognized and have a good understanding of the narcissistic parents personality, it is far easier to do your healing work. Independence is the key to break free of the control and dysfunction and it is the only way to heal from the abuse.